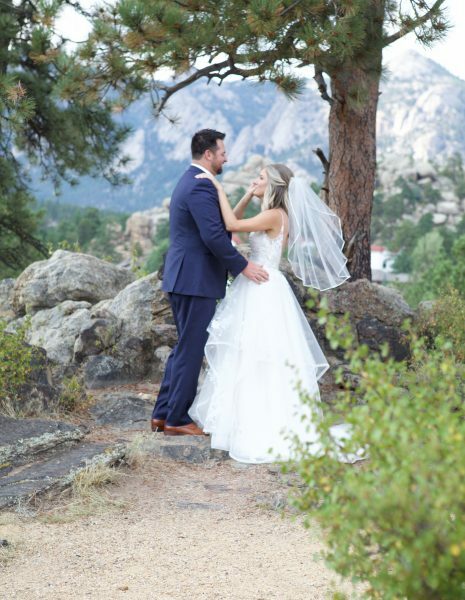 Estes Park has quickly risen to be one of the most popular destinations for weddings – rating #1 in Colorado and #7 Nationally. Unlike our ski town cousins (Aspen, Vail, Breckenridge) travel is less of an issue for those traveling. Because we are located at a bit lower elevation and on the East side of the Continental Divide, snowfall, while still abundant, isn’t as accumulative, therefore highways in and out of Estes are easier to maintain and rarely completely close due to weather conditions. The grandeur of the Rocky Mountain National Park is unsurpassed as the perfect backdrop for wedding ceremonies and spectacular photos. The quaintness and small town feel of Estes lends to a less busy area and creates a “no stress zone” for wedding parties and guests. The abundance of activities is also appealing to guests turning a wedding day into a mini vacation. With 2 golf courses, white water rafting, fishing, spas and salons, unique shopping, horseback riding, hiking, off road hummer tours, snow tubing and snow shoeing and the constant presence of wildlife there is something for everyone! 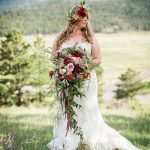 While not every couple has the financial freedom to plan the ultimate wedding of their dreams, they do have the ability to plan a wedding day – IN Estes Park – that they, and their guests, will never forget. 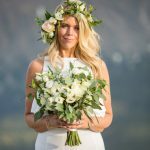 Here are tips from Estes Park’s very own “Fairy God Mother” as to how to make your wedding possible! So Many People – So Little Money – While many brides envision their day surrounded by hundreds of friends and family to make their day complete, consider this… imagine looking at your photo album 5 or 10 years from now and realizing that half of your guests you don’t even remember. Those work associates you felt obligated to invite, or your 3rd cousins twice removed that you felt would break a cardinal rule by not asking to attend. This is one of the #1 ways that wedding budgets can spiral out of control. When you consider costs – larger venues for sufficient seating, the elaborate dinner, alcohol and beverages, the extra slice of wedding cake, the chair cover and sash, wedding favor and even the additional invitation – the average expense for each wedding guest is $100 or more. Lets face it – the more guests, the more stress. Keeping track of meal choices, plotting out seating charts, arranging for out of town guest’s accommodations let alone ensuring that you have sufficient time to visit each guest during your reception is mind reeling. The answer? Take a look at your guest list and reconsider the SIZE of your wedding. Less guests opens options for different venues, huge budget cuts, and a decrease in your stress level. Whittling down your guest list to include those who attend because they are an intricate part of your life will leave you with a manageable wedding size, cost and more time to celebrate the day with those surrounding you that are the most important to you. TIP: When it is time to explain to co-workers or distant family why they aren’t invited? Tell them “We are planning an intimate destination wedding – and due to the cost of the wedding but of what it would require of our guests to have to spend, we opted to keep our guest list to immediate family and life-long friends”. 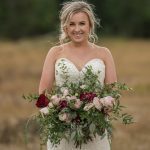 Wedding Date – One of the ultimate tricks to planning an affordable wedding in Estes Park is in selecting your wedding date. Off season deals begin the first of November and run through mid-May in most cases. Venues are anxious to fill guest rooms and ballrooms this time of year and are eager to make deals to make this happen. The day of the week is also a tip to consider – with proper advance notice to your guests for their scheduling, your wedding can take place on a day that falls during the middle of the week. Weekday weddings can be as much as 50% less than weekends – especially during prime wedding season. Time of the day for your wedding also changes the scope of your budget. Hosting a late morning wedding saves you money by allowing a brunch buffet in lieu of a plated dinner that is more cost effective. 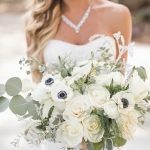 By having your wedding earlier in the day, it also allows you to celebrate your wedding all day – consider an adventure for your guests after the ceremony such as a chartered party bus tour over Trail Ridge Road, white water rafting, snowshoeing in Rocky Mountain National Park, a golf tournament, horseback riding. You can end the day by serving your wedding cake and coffee back at your hotel or at a local club for libations and dancing! If you are night owls? Consider a later candle light ceremony at 7 or 8 pm and provide a dessert only reception with dancing. A lavish buffet of bite size desserts such as flavored cheese cakes and tarts, a chocolate fountain and tower of cupcakes with a candy buffet will give your guests energy for dancing into the wee hours! TIP: Let your guests know your plans by subtlety announcing it in your wedding invitation – “Brunch Reception to Follow” or “Dessert Reception to Follow” lets your guests know what to expect and plan accordingly for dinner before your wedding! Prioritizing your goals for your wedding is another consideration. Most couples – especially the bride – has a “Vision” going into the planning process. That vision many times focuses on particular highlights that stand out – a 4 tier wedding cake, flower embellished aisle and guest tables – the princess gown. The beginning of planning is the perfect time to dissect your wedding into categories – the MUST HAVES, the WANT TO HAVES and the LIKE TO HAVES. By looking over your list, it is many times possible to eliminate some of this less important LIKE TO HAVES in order to make the MUST HAVES a reality. Photography – DON’T ever skimp on photos. At the end of the day, it is all you have left. HOWEVER, an 10 hour photography package is not necessary in most cases either. Break your day down into “Album Worthy” photos – the ceremony, family photos, romantics of the two of you, wedding party photos and reception highlights such as cake cutting, toast, first dance and father/daughter mother/son dances are most important. This is the time to hire a photographer – and if you timeline those shots, a 3-4 hour photography package is typically sufficient. For the “Non Album Worthy” but still WANT TO HAVE shots – delegate your friend with the new camera to be there for the getting ready shots, the driving the ceremony shots, and the reception shots that while fun to have, typically don’t make it into the album, i.e. the “I’m on my seventh cocktail and now watch my moves on the dance floor” images. Scrap the favors. Endless hours and budget busters come from wedding favors… the wrapped candies that litter the reception tables or engraved picture frames that end up in the junk drawer is a prime part of your budget dollars that can better be allocated to those MUST HAVES. Entertainment – If your wedding is more intimate and dancing isn’t a major priority to your reception plan, consider renting a sound system that includes a microphone and the invaluable iPod hookup. Create playlists of your favorite songs for dinner background music, the important first dance, father/daughter, mother/son and wedding party dance then switch to the dance all night playlist and let it show off it’s own shuffle!! For important announcements delegate a Master or Mistress of Ceremonies who can gather everyone’s attention for the cake cutting, toasts, etc. HOWEVER, If the two of you are big into entertainment and plan to dance the night away, having a professional DJ or Band should remain on that MUST HAVE list. Hidden Talents – Your wedding is the perfect time to harness the creativity of your family and friends who are willing to lend a helping hand. Creating captivating table arrangements or even your wedding party flowers can be a sinch for someone with the right touch, and with today’s spectacular choices of latex and silk flowers, these can be done weeks in advance. Bakers in your ‘inner circle’ can create tasty and creative wedding cakes – for insurance on the structure of that multi-tiered cake consider a cake stand with multi tiers rather than doing a stacked wedding cake that requires lots of experience in creating and securing in place. The simplest of cakes can be the most beautiful when accented with flowers. All Inclusive Packages – Planning a wedding from a distance – or even from down the street – can be a harrowing and time consuming experience when having to deal with multiple vendors. Finding a company who specializes in All-Inclusive Packages (Marry Me In Colorado) can eliminate the need to interview, sample, preview portfolios and endless hours laboring over different websites to select from multiple choices of coordinators, officiates, photographers, florists, bakers, musicians and more by finding a reputable company who has all of those professional gems wrapped into one nice package. It means less phone calls, less time, and less stress. 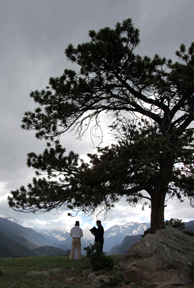 Reception Site Alternatives – Estes Park is filled with numerous hidden gems to consider as your reception site. 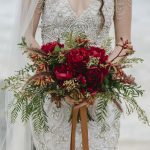 While the natural instinct of couples is to visit the larger and more commonly known venues, if your wedding is on the intimate size you have a whole world of options to consider. Restaurants in Estes Park are always anxious to host wedding dinners for patrons. There are restaurants on the river walk that give your guests the treat of ambiance as well as food that is prepared in a restaurant setting versus a banquet assembly line. Private homes are also abundant in Estes Park for day or weekly rentals that in many cases have both outdoor areas as well as ample indoor settings for receptions. Whether you hire a caterer or opt to provide your own food, your bar expenses will reduce ten fold by purchasing your own alcohol and you will slash your budget by combining your guests accommodations and your reception setting in one of these beautiful homes! 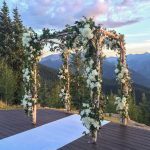 Wedding Site Alternatives – While a stunning view from the back yard of a historical property is a beautiful ceremony site, it can be a very costly one. 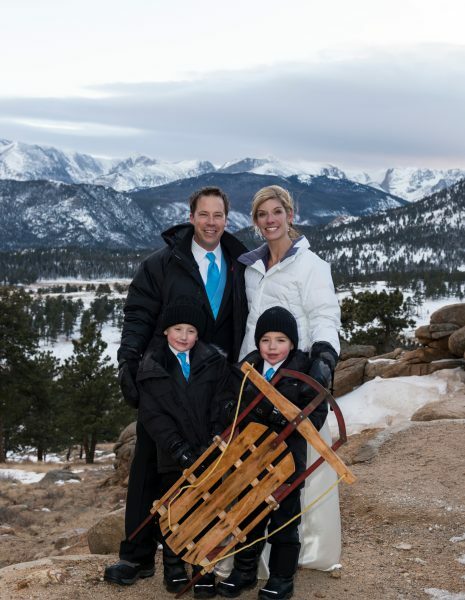 Consider the ultimate cathedral with an outdoor ceremony in one of Estes Park’s hidden treasures – Rocky Mountain National Park. The National Park Service offers ceremony sites for $150 and range from intimate elopements for 2 to 150 guests. Specific locations within the park are specified based on the number of guests. For larger weddings consider the Moraine Park Amphitheater or picnic area at Lily Lake. 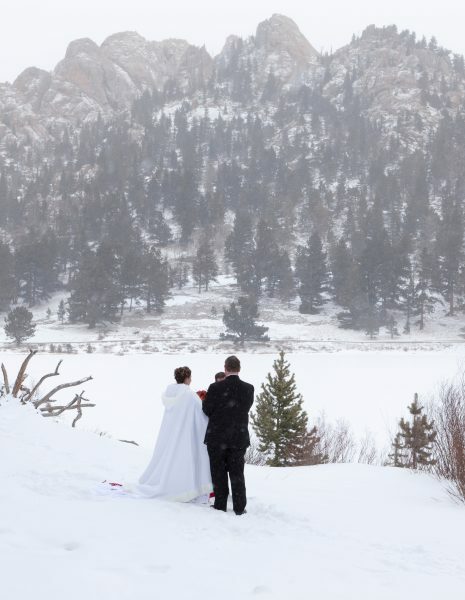 City sites such as the Estes Park Marina and Pavilion and county parks as well as a multitude of smaller lodging venues based on the river are another option for an affordable site for a romantic outdoor ceremony. Be sure to look into all of the necessary permits required for these sites, and ensure that your commercial professionals – such as photographers, Officiants and Transportation Companies, etc. – are required to be licensed directly by the National Park Service to work and photograph weddings in Rocky Mountain National Park.